When most people start pricing out a racing drone, they often forget about all the odds and ends they need to keep their quad airborne. 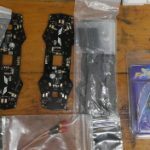 Similar to our “Tools needed for building a quadcopter” article, most people new to the hobby likely don’t have the extras needed for repairing and maintaining a quadcopter. These are the “spare parts” you need in your tool kit to complete your build and keep in stock to remain flying. Our goal is to show you the components that we feel should be a part of every pilot’s inventory. 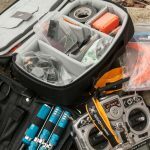 Having these items on hand will make repairing your quadcopter significantly easier, and prevent unnecessary down time. Heat shrink comes in a variety of shapes and sizes. 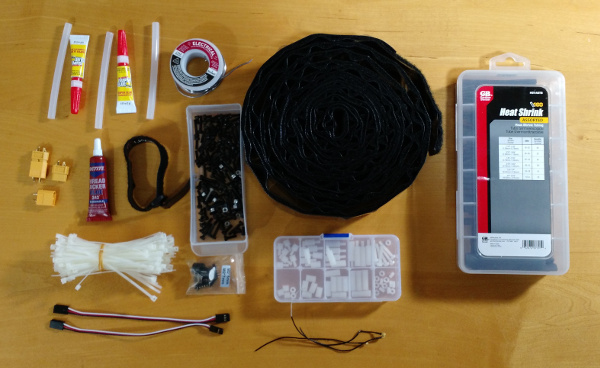 You at minimum are going to want to cover your ESCs and battery leads! Used for: Covering / insulating electrical components, holding antennas. The last thing you want is to have any of your brand new electrical components short out on your carbon fiber frame. As we have mentioned a few times on this site, carbon fiber is conductive. 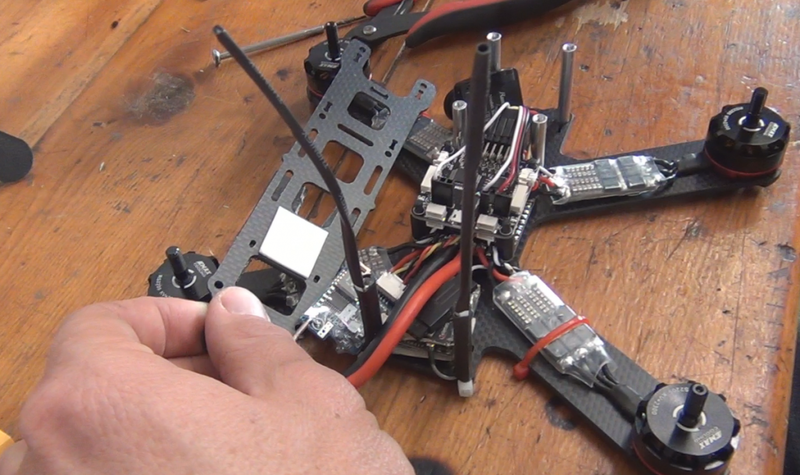 Placing components like our ESCs directly on the carbon fiber is a great way to see some sparks and smoke once, while flushing some of your build budget directly down the drain. You can use electrical tape to cover your wires, but this looks messy, is difficult to remove, and degrades after a few months. We recommend using heat shrink wherever possible to protect your electronics from shorts and provide that nice “finished” look. Similarly, you can use heat shrink and zip ties to make cheap antenna holders for the RC receiver. This is a great way to keep those fragile antennas away from the props. How much do I need: Pick up a variety pack that has a lot of different sizes. A few feet to keep on hand for various repairs and adjustments is cheap and will last a long time. We like the variety packs that come in a plastic case for easier organization. 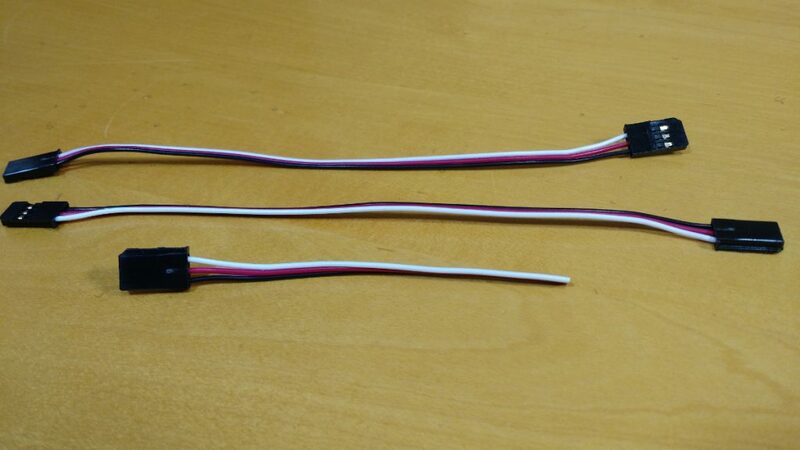 You will probably want to have some 15mm heat shrink to cover your ESCs as well, which rarely comes in variety packs. 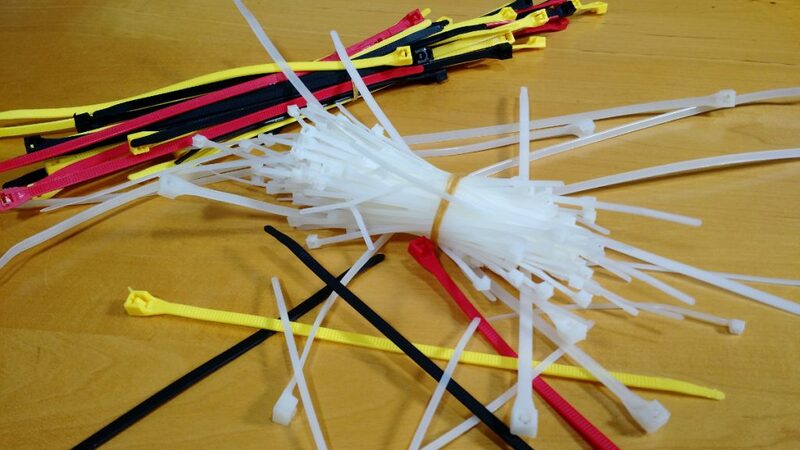 A colorful variety of zip ties. What build is complete without zip ties? Whether it’s securing ESCs to the frame, tying down components, or binding wires together, zip ties are a cheap and easy way to get things to stay put. Zip ties aren’t just for holding components down. They can also be used to form mounting structures. A very popular example of this is using zip ties as an antenna mount. Near the rear of your frame, slip a longer zip tie up and through the frame. Zip the tie all the way to the base so that you have the zipper flush with the frame, with the rest of the tie sticking in the air. Holding the antenna alongside the zip tie, slide a length of heat shrink over the two. Heat to secure! How many do I need: Pick up a variety pack that has a lot of different sizes. Your average build will use 20+ zip ties so just get a lot of them. A few different sizes will make it easy to secure any component. We like to get the variety packs with an assortment of different colors. If you have an aesthetic eye, color-matched zip ties can really make your quadcopter pop. A variety of mangled antennas. It will happen to you! Used for: Telling our quad where to fly! RX antennas receive inputs from our transmitter to our RC receiver. Inevitably, on some bad crash you will chew up your antennas. It is guaranteed to happen at some point. Unfortunately, these antennas are very fragile, and cutting off even the tip of one of these can cause massive loss is signal strength. Therefore, we recommend keeping a few extra on hand in case of an accidental prop cut. This will safely keep you in the air, rather than being grounded waiting for a new shipment. Trust us, no matter how carefully you fly or protect your antennas, it’s bound to happen at some point! How many do I need: 4 extra would serve as a great buffer. Order more when you get down to 2. Used for: Securing your battery to the frame. 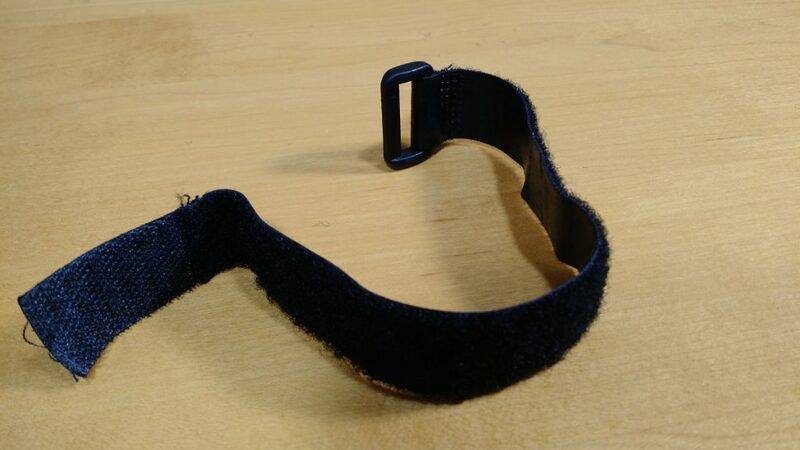 Battery straps, as the name implies, are Velcro straps that help hold our batteries to the frame. Paired with a Velcro attachment on the battery and frame, they work great at preventing flung batteries during a crash. There are a few things to consider when buying battery straps. Look for ‘silicon coated’ or ‘rubberized’ battery straps. These have a layer of coating that makes them non-slip on your frame. Similarly, make sure the fastener is strong and not frayed before each flight. The wire glue that makes the magic happen! Used for: Creating electrical connections, securing wires, etc. You won’t get far building a quadcopter without solder. Solder bonds our wiring to our components so that they can receive power and communicate with one another. Even if you bought a RTF or pre built quad, you will likely need solder down the line to fix a lose wire or make a component swap. When buying solder for quadcopters, you want ‘rosin core’ solder. Do not go to the hardware store and buy plumbing, or ‘acid core,’ solder! 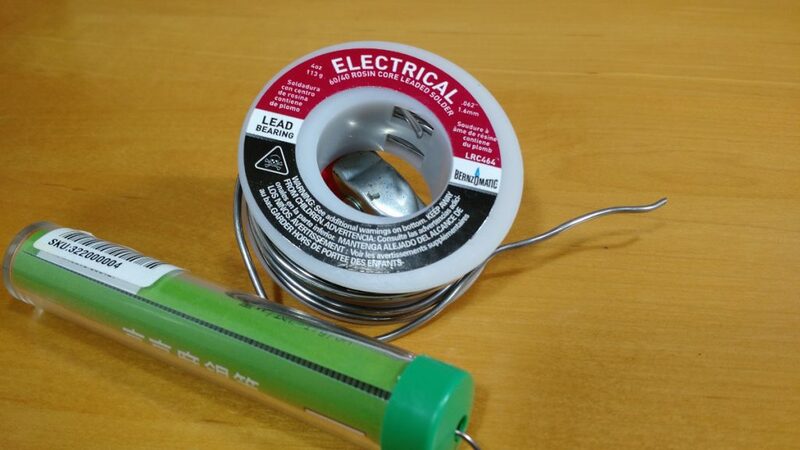 Try and buy a quality solder – if you buy a decent spool, it should last you for years. Velcro is great for keeping components secure but still removable. In every build, we use a strip of Velcro between the battery and frame to keep the battery from sliding and to hold the battery to the frame should the battery strap fail. Velcro can also be used with other mounted components, such as the VTX and RX, for easy removal as needed. Similarly, we use Velcro on a lot of our equipment. We have used some of our Velcro as extra support for our FPV goggle batteries, for securing addons to our radio transmitters, and much more. It’s also invaluable for just fixing stuff around the home – probably moreso than anything else on this list. You can’t go wrong with a healthy supply of good Velcro. We highly recommend you shell out a little bit extra money for quality velcro. 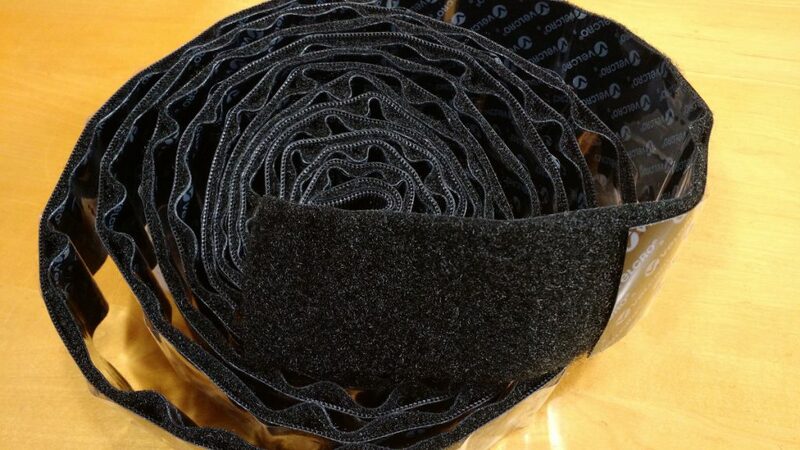 Quality Velcro means the adhesive used sticks better and the hook and loop portion makes a stronger bond. The name brand, industrial-strength velcro is considerably better than the cheap knockoff brands. It holds better and will adhere to your quadcopter for much longer – paying for itself in both longevity and lack of frustration. How much do I need: A roll (three to six feet) will work nicely for pretty much any task for building and repair work. Novuh likes to secure his RX using double sided tape! Double sided tape is another great tool for securing components to your frame. As the name implies, it is sticky on both sides to allow you to tape items on each side. One major benefit that most double sided tape has, is the added padding it offers. This is great if you ever need to add a little extra space for a component or ‘lift’ a component slightly off the frame. 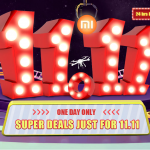 Unlike other parts, don’t shop around for this one. Buy the name-brand 3M tape linked below (or the same tape from another vendor). This particular tape has phenominal sticking ability, great vibration damping characteristics and is extremely easy to remove when you want to replace it. How much do I need: A standard tape roll will suffice for most builds and repairs. Lock those threads in place! Threadlockers like Loctite are great for keeping bolts where they need to be! Threadlocker functions as glue for our bolts. There are certain bolts on our quad that we do not want to come unscrewed when we are flying. Namely – the bolts that hold our motors on. If these bolts let go, your quadcopter will quickly disassemble itself in the air, costing you hundreds of dollars. It has happened to us. Do yourself a favor and buy a bottle of threadlocker when putting together your first quad! It can be expensive, but should last you a long time. There are several different types of threadlocker on the market, classified by color. For the purposes of securing your motors, you want blue threadlocker. 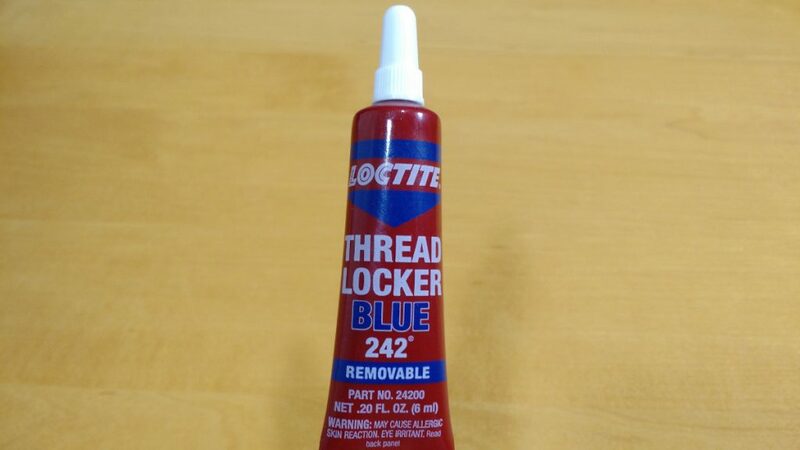 Do not get red threadlocker. How much do I need: A small bottle will last you many builds and repairs. Fly micro quads? Super glue will be your best friend for small repairs! Superglue will save you countless times while flying with friends. Flying the Tiny Whoop around and crack a duct? Hit it with some super glue, let it set a few minutes, and you are good to fly! For touch up repairs and fixing broken components, superglue is a wonder tool in our kit. We also like to use superglue to coat the edges of the carbon fiber on our arms to protect against fraying. Once frayed, carbon fiber can also be repaired with superglue. If you don’t like waiting for superglue to dry, consider buying some “kicker” – which can be sprayed onto superglue to instantly cure it. When you need to glue a component that needs to be able to bend or have some “give”, hot glue is the better choice. It is also an excellent electrical insulator. As such, we often use it to mount and protect electrical contacts. Finally, it can be used to fill gaps or add “structure” where you need it. We’ve even used it to create makeshift FPV camera mounts. Think of it like 3D printing you can do by hand! How much do I need: A container of super glue and a few glue sticks should go a long way. 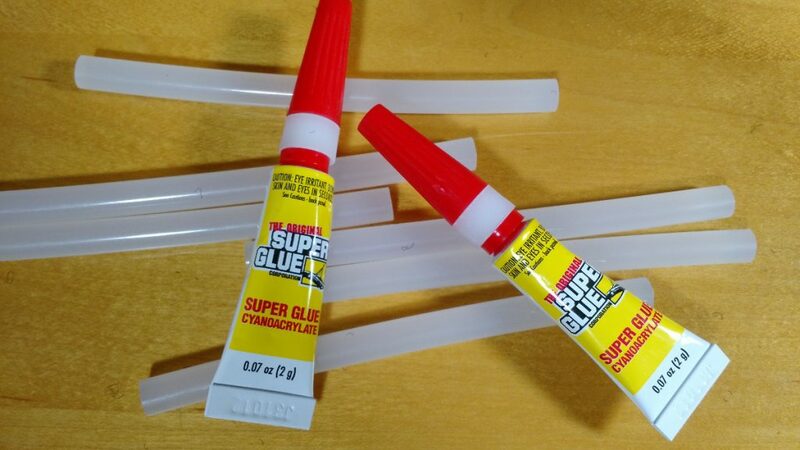 Make sure you buy the right sized glue sticks for your hot glue gun. Always good to have a few extra connectors on hand! Want to power your quad? Well, to connect our LiPo batteries, we need XT60 connectors to hook everything together. For the most part, you only need the male adapter to hook your quad to your battery. However, having the female adapters on hand can help when building battery cables (as we show in our soldering 101 post). Similarly, if you ever need to build a battery adapter, say to use a smaller LiPo battery with an XT60 connector on your bullet connector equipped FPV goggles, it’s great to have a few extra connectors on hand. How many do I need: 1 per build, nice to have a few extra on hand for repairs or building adapters. Look for larger gauge wire for battery connections! Used for: Connecting our PDB to our battery. For whatever reason, many kits and parts lists leave out getting silicon wire. This larger wire is used to connect the PDB to the battery. One end would be soldered onto the PDB, while the other end would be fitted into an XT60 connector. You want a lower gauge (thicker) wire for supplying power to the PDB. If you are looking for a battery wire, look at wiring somewhere in the 14 gauge region. How much do I need: About a foot each of red and black wire should cover you for a few builds. A variety of clipped cables. Customize servo cables depending on what needs wiring! If you followed the advice on our build series, you saw that we use pin headers to secure components to our flight controller. This allows for a very easy connection to remove or replace if repairs or upgrades are needed. To connect to these pin headers, we need servo extension cables! These cables have a power, ground, and signal wire that can be used for a variety of connections. Similarly, you can cut off the connectors as needed to use the wiring for other tasks. How many do I need: When building your quadcopter, having 5-7 of these on hand would be a safe bet. Pick up around 10 or so for build + repair inventory. 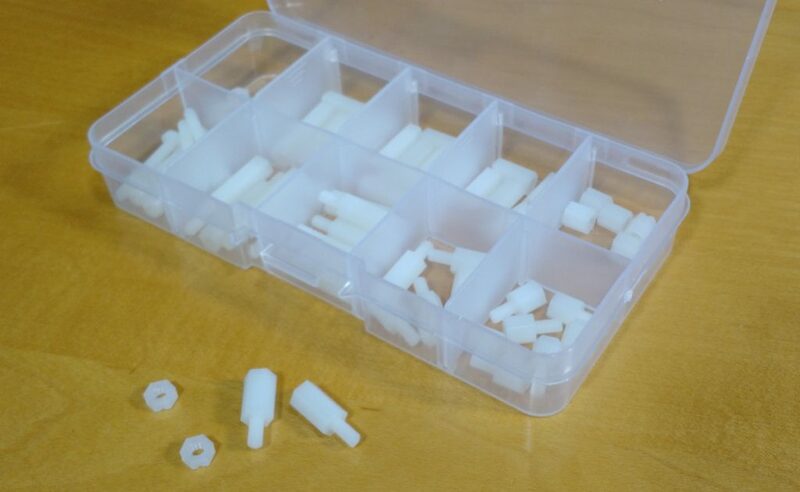 Nylon standoffs usually come in kits with a ton of options! Again, carbon fiber is conductive and doesn’t play nice with electrically charged components. To that end, we like mounting our PDB and flight controller on nylon standoffs to prevent any shorts. This also allows you to save room in your build. You can create a nice stack of components by using multiple standoffs on top of each other. 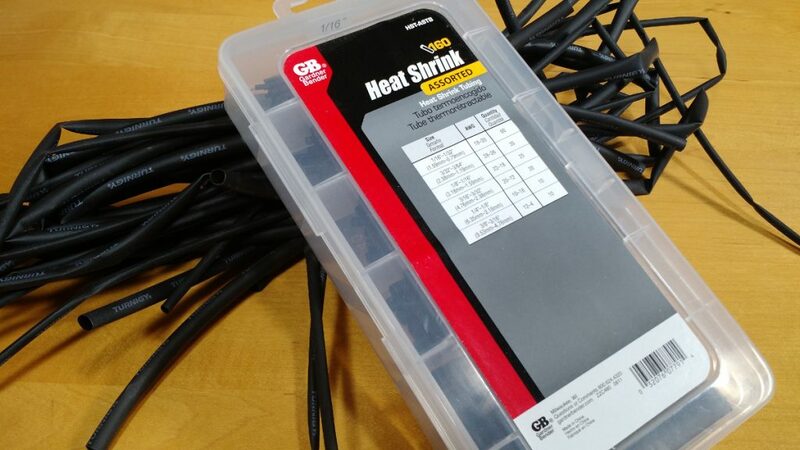 This is a great way to keep your build organized and protected from electrical shorts. How many do I need: You can pick up a standoff kit that will have everything you need for a ton of builds. Pin headers are always good to have around to add customization to your flight controller. If you followed the advice on our build series, you saw that we use pin headers to secure components to our flight controller. This allows for a very easy connection to remove or replace if repairs or upgrades are needed. We prefer this to directly soldering components, as it reduces the amount of time we will have to spend troubleshooting or repairing parts down the line. Furthermore, they are easy to install and change out as needed. 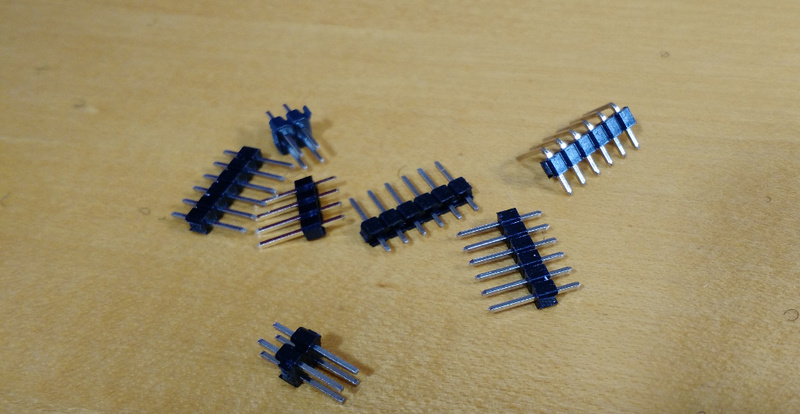 Most flight controllers come with a variety of pin headers, however you might want a few extra on hand. These are very cheap that can be helpful when installing new components on your quad. 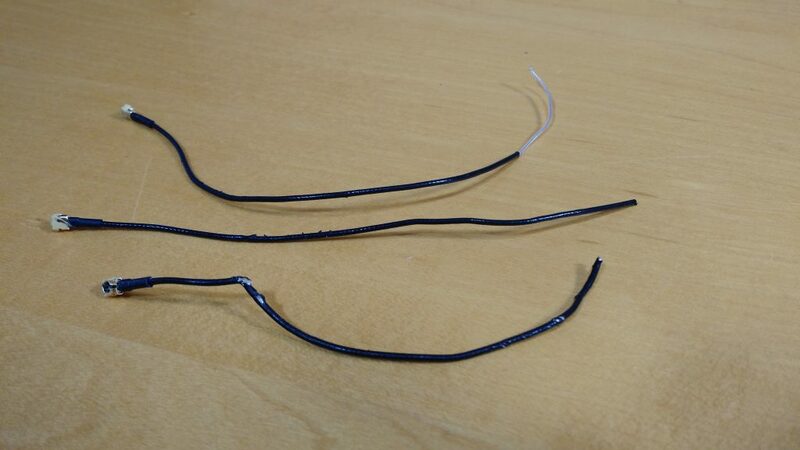 Similar to our battery wiring, you want some higher gauge (thinner) wire for ESC power line repairs. This is nice to have on hand if you ever need to repair any of the power wiring on your ESCs. Look for a gauge somewhere around 18-20 to get the job done. A variety of bolt sizes! Great for replacing randomly lost frame bolts. Most frames use M3 sized bolts to hold our carbon fiber plates together. 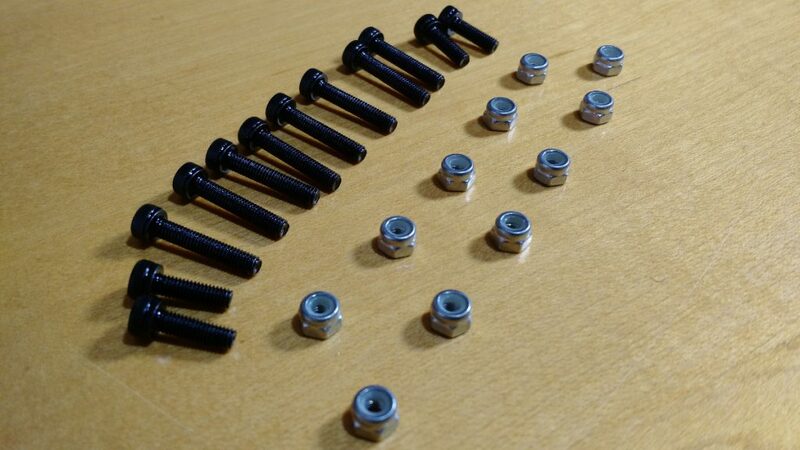 While your frame will obviously come with all the bolts and nuts you need for putting everything together, these bolts are surprisingly easy to lose in the field. Since we are usually popping our top plate off to make repairs or modify components, we usually don’t use threadlocker to keep these bolts in place. This means that they are susceptible to wiggling their way out while flying. Moreover, the small nature of these bolts make them very easy to misplace when doing repairs on the bench or at the field. 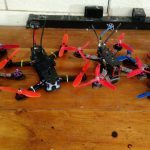 Having a few extra is a cheap way to ensure you can always fly without worrying about your quad falling apart in the air. How many do I need: A small pack of 10-20 is a great place to start. Sometimes you don’t just lose a propeller – you also lose the nut that held it on! Keep some extra prop nuts in your bag! Used for: Holding our propellers on our motors. Prop nuts can be so easy to lose. Whether it is a particularly bad crash or just butterfingers at the field, I have lost a ton of these. There is a wide variety on the market, from lockable versions to simple twist nuts. Try to get a locknut version when purchasing these. 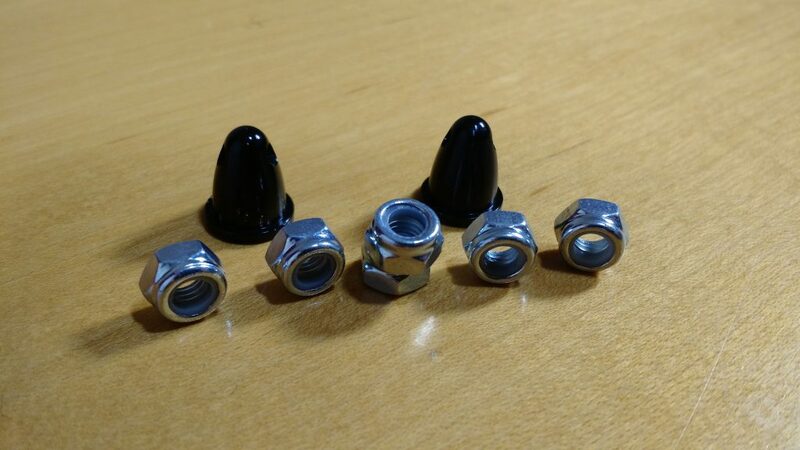 These nuts usually have some sort of nylon insert that takes a good amount of force to screw on and off. You can also get motor specifc ‘self locking’ nuts. These will only thread onto a specific motor – you will need to buy CW and CCW versions. While these do a great job at staying tightened on the motors, we find them cumbersome to use and sort when swapping props at the field. How many do I need: 10 is a good start. If you don’t have these, you can’t fly! If your frame doesn’t have an antenna mount, an SMA connector can be a great solution. These connectors screw on to the VTX and antenna to angle your antenna a different direction. 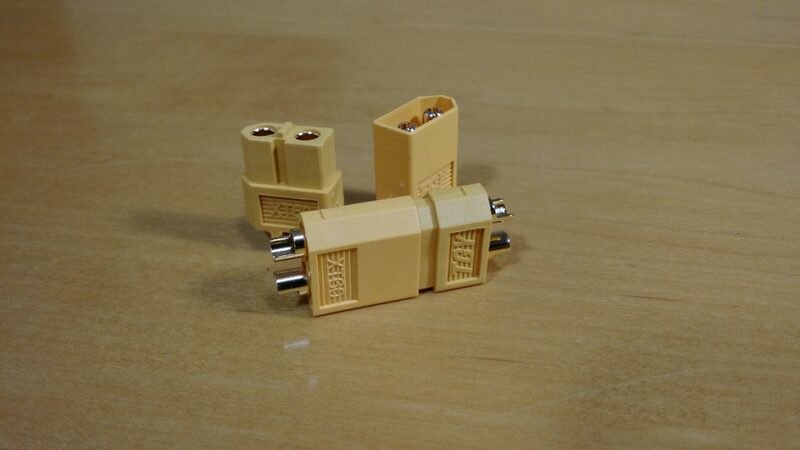 Most commonly, you would buy a 90 degree connector that would angle your antenna straight up from your flat mounted VTX. How many do I need: depends on the build. Having one or two on hand is helpful for odd repairs. What’s in your repair kit? 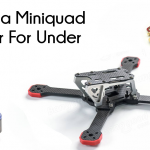 Did we miss any components that you can’t live without while building a quad? Let us know in the comments below!